Affordable, Full-Featured VoIP Collaboration, Enjoy reliable, full-featured voice over IP communications, whether you have Cisco on-premises, cloud, hybrid or Unified Communications as-a-Service (UCaaS) from other select providers*. With the budget-friendly Cisco IP Phone 7800 Series, you can increase your business call efficiency and productivity, while reducing your IT operating costs. 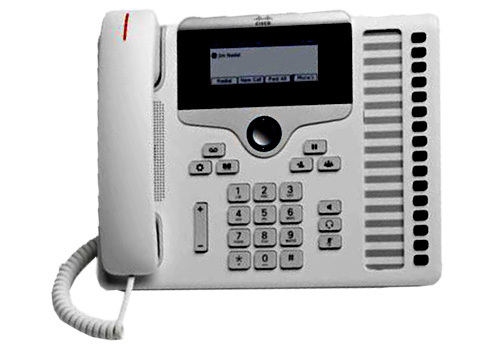 The cost-effective Cisco IP Phone 7800 Series is ideal for small to large enterprises seeking high-quality, full-featured VoIP communications. It’s a great fit for customers who use traditional analog or digital phones today and want to advance to a Cisco IP Phone system, whether deployed on-premises, from the cloud, or in hybrid configurations with the Cisco Spark Phone OS. Integrated IEEE switches to reduce installation costs and clutter at the desktop. Syntel, Neos, Neos Max and Neos Infinity are registered trademarks of Arvind Mills (Telecom Division). All other Registered Marks, Service Marks and Brand Names are the property of their respective owners. If your monthly Telephone bill exceeds INR 3,500/- per month, you may be eligible for a state of the art IP/Digital/Wireless EPABX absolutely FREE**. Please provide the requested details for us to evaluate your eligibility. Do you have a multi-location presence; i.e. offices in > 3 locations? Alternatively, are the total number of employees (phone users) within your organization > 300?? If Yes in either case, your organization may qualify for a FREE** Telecom Audit. Please provide details below for us to evaluate the same.